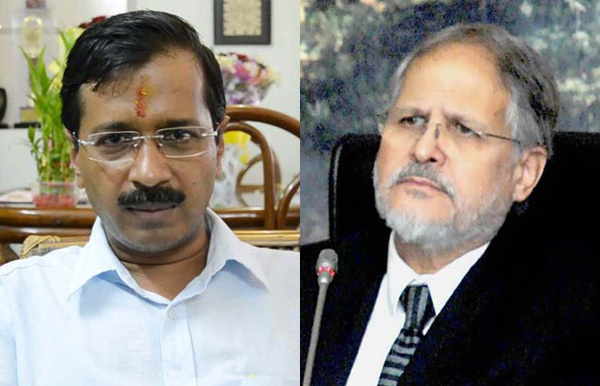 24 May 2015: The turf war between Chief Minister (CM) Arvind Kejriwal and Lieutenant Governor (LG)Najeeb Jung threatens to mar the occasions of 100-days in office of AAP government in Delhi National Capital Territory (NCT) and 365 days in office of NDA government at centre. While LG has sought to guard his absolute control on Delhi Police and Bureaucrats, CM has sought to shake the established system and expand his role such that LG is reduced to be a figure head like any Governor in other state capitals. Both have supporters among former senior bureaucrats, constitutional experts, senior advocates, as well as retired Supreme Court and High Court judges. The Congress party has officially backed CM, so also the left parties. Most non-BJP CMs and former CMs have backed him. However, theirs is a political position aimed at thwarting BJP and not necessarily a principled stand. Needless to say, the central ministers, CMs of BJP ruled states and all BJP spokespersons support the LG. Again, until a year ago, as principal opposition party, BJP was demanding full statehood for Delhi. It was accusing Congress party of reducing Delhi Secretariat to the status of a municipality. According to relevant statutes, business rules and administrative notifications issued since creation of State of Delhi NCT, the Union President became constitutional boss of LG. But, the President does not have discretionary powers; he goes by the Ministry of Home Affairs (MHA) decisions. Hence, the LG actually reports to the Central Government through MHA. This is why when both LG and CM took their grievances against each other to Union President last Tuesday, no resolution came from him. He only gave a patient hearing. Next day, the LG spent a day at MHA arguing his case. The CM sensed MHA will back LG. He wrote to PM reminding him that Delhi government has the popular mandate to work independently (of MHA). The MHA was quick to hit back. On late Thursday, it issued new notification of business rules giving LG absolute and discretionary powers to administer Delhi. It spelt out in detail LG’s authority over law & order including Delhi Police, the administration of all land matters, and services including government personnel. The modified notification explicitly stated that LG is not required to consult CM to appoint, post, transfer, promote, appraise or even assign work to all government employees (from steno to CS, as LG put it). To add to the humiliation, it clipped the powers of Anti-Corruption Branch (ACB). It no longer can investigate and prosecute any central government employee including those assigned to Delhi government. CM was equally prompt in rejecting the MHA notification; in a hurriedly called press conference on Friday, he blasted PM Modi as Queen of England reigning from London and LG as her Viceroy. He reminded that despite Delhi giving him as massive mandate of 67 MLAs, only 100 days ago, Modi has murdered democracy in Delhi. He accused him of ruling Delhi through 3 MLAs, against popular will. He vowed to carry on his fight through political and judicial means. What is behind the war between LG and CM? 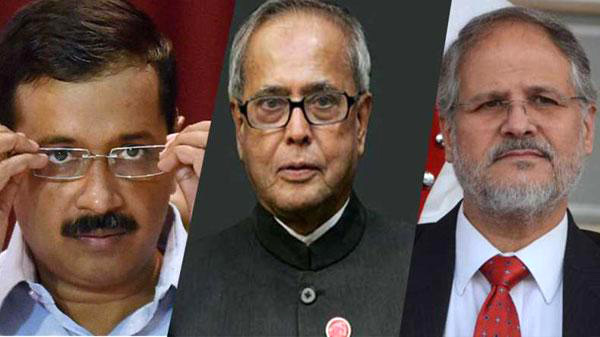 The NDA government inherited LG Najeeb Jung as Administrator of President’s Rule in Delhi. He was a UPA appointee since July 2013. When NDA government came in on 26 May 2014, he survived by proving his loyalty to the new regime. All other UPA appointed governors were given marching orders, but he was trusted to rule Delhi, despite its assembly was in suspension and fresh elections could be announced anytime. Obviously, he has mastered the art of survival extremely well. CM Arvind Kejriwal hadrun-ins with him during his 49-day stint. As head of minority government, he tried to table Jan Lok Pal Bill without the permission of LG. He rebelled against the authority of MHA, which had sought to control his legislative agenda and prevent passing of any legislative reforms. In protest, he quit as CM earning the sobriquet of Bhagoda (Runaway). He had to apologize, many times and profusely, before people of Delhi returned him to office with a stunning majority of 67/70, unheard of in Indian legislative history. CM has vowed never to quit under any circumstances. He is here to stay. The NDA government has no love lost for him -because BJP which suffered the humiliation of ineligibility to have a leader of Opposition (LoP) status in Delhi legislature, (like its rival Congress party in the parliament) - will not make it easy for Arvind Kejriwal. It is hell-bent to erect road-blocks so that he fails to deliver on his electoral promises, especially of curbing government corruption in Delhi and making public servants accountable to common citizens. CM directed that LG need not be bothered with every file relating to Delhi government work. LG reminded the officials directly that all files relating to matters for which Legislative Assembly can make laws should come to him for his final approval. CM is keen to fight for his government’s ‘legitimate rights’ that mandate consultation with the Chief Minister by the Lieutenant Governor on issues related to law and order, land, police and administrative services. CM has projected the image of an anti-corruption crusader just as PM projected him as a strong pro-growth pro-development leader. Delhi voters expect Jan Lok Pal Act from him in his second innings. He can’t run away. He has to deliver. What if the LG (meaning MHA controlled by Modi) is reluctant to let him introduce the bill during June session of the assembly? Should he follow the business rules of seeking the President’s (centre’s) approval before introducing the bill? He does not have the option to once again take the extreme step of threatening to resignwhen no permission is granted. 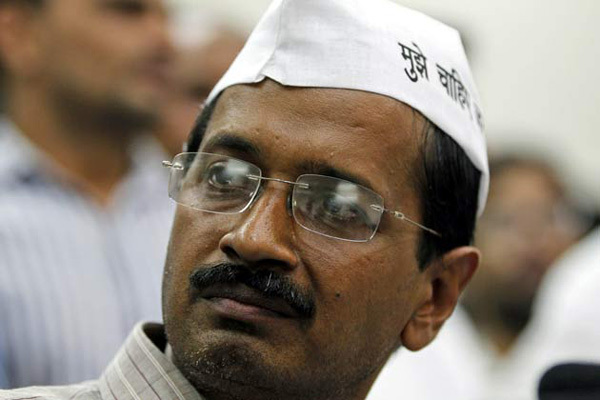 He has taken on LG over Delhi Police, which LG controls for the central government. It is an open secret that police force is den of corrupt practices, where a Station House Officer (SHO) and his subordinates get the posting at a price stipulated in privately agreed employment terms, including generating a minimum ‘hafta’ revenue to political bosses. Who in his right mind would want to report to a CM determined to undermine such hafta industry? Witness the parallel probes launched by the Delhi government’s district magistrate and Delhi Police into Rajasthan farmer Gajendra Singh’s suicide at the AAP rally at JantarMantar last month. It exemplified the friction and showed whom Delhi Police wants to look up to. The police sent their report to the Union Home Ministry, instead of sharing it with the District Magistrate (DM). Witness the arrest by Delhi ACB of a head constable from Sonia Vihar area, on a bribery case of Rs. 20,000. The Delhi Police registered a case against Delhi ACB of abduction. They used a LG notification of July 2014, which put central government employees out of the ACB purview. Delhi Cabinet took a decision and passed a resolution reversing LG’s notification. What if the LG declares this and all cabinet decisions and assembly resolutions null and void unless his prior approval is taken? Is CM making a case for full statehood? Some experts opine that CM is creepily advancing his agenda to question the present scheme of things and shake up the system in order to make a case for his oft-repeated demand for full statehood for Delhi NCT. In asking to be consulted in law and order, land, appointments and police matters – all of which are currently controlled by the LG-, he is venturing into expanding his domain towards that goal. CM’s office interprets the rule book to say that the state government should be consulted on issues related to policing, land and law and order. The CM had sought from police a list of dark spots in the city for enhancing lighting and security at these points for women’s security. Did the Police comply? How would his government deliver its electoral promise of securing women’s safety, without Delhi Police co-operating? The AAP government also has met with resistance in its efforts to control Delhi Traffic Police and deliver its promise of improving the traffic situation. It realised that the demand would not be met. Hence, the transport department stripped the traffic police of the power to impound auto-rickshaws for offences related to refusal to go to a commuter’s desired destination. It sought to give those powers to RTOs instead. Auto-wallas are loyal AAP voters, while they are un-popular with common folks. As Sheila Dixit said recently, Delhi is a difficult state to govern. If she said from first-hand experience, did her own party-men ruling at the centre, make her life miserable? If so, what about Arvind Kejriwal, who is not a politician with tact and deceitful diplomacy but a man with hatchet and in extreme hurry to establish his own hegemony. You have asked valid questions, Alphonse. Delhi government, CM, his cabinet colleagues, his MLAs AAP party organization and volunteers are working among the masses. The erstwhile ruling classes have been threatened by what they see on the ground. They will strike back. More in my sequel which I am penning now. When resigned last time as CM, everyone said he ran away from his responsibility of governing the state. Now heis running the show so effectively the BJP CONGRESS just can t stand and working towards his demolition. Now is who is responsible and who is irresponsible?? why BJP especially is bent upon breaking him than supporting him if it is a true people oriented party?? Isn t it they just want come back to power to make money than the govern? Will they be able to govern like AK?? Common Mass have trusted them and let them govern for 5 years and then let the people decide if AAP is good or bad. It is unfortunate that the Lt.Governor is exhibiting his high handed ness. It is also felt that it is a double standfard/talk of the centre to pull down the polpular elected Government. Is this not a scam under current? There are several such stupid acts of the Centre but there are lots of foul mouths to talk from roop tops that no scams no corruption etc. It is bad example for the Center what is happenings in Delhi. Earlier Parties in power never had such a problem when UPA or NDA was in power at the Centre. It is nothing but dominating PM and his Home Minister. they should instruct the L.g. according to democracy and stop back seat drive,and cry a halt to the stupid darama. TheAnalytical views are bold and beautiful.It is not tomjudge performance but to overcome the hurdles checking and fighting against corrupt practices even in governing. Good article. May be 100 days is too less to judge performance. Ugly face of politics is showing its strong presence. With this kind of pulling forces from different directions indicate that stability is still far away! I appreciate bold decision of AK sacking rebels from within. He may bring new way of governance in his tenure of 5 years due to his big majority, him being intelligent and non corrupt. It is refreshing to read the analytical article on New Delhi political tug-of-war by Philip Mudartha. Good to know that he has once again started to contribute his learned articles in Bellevision after a long sabbatical.